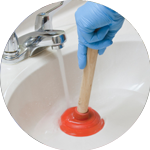 London Plumbing services have been expertly taken care of by the Handy Squad since 2005. In that time, we have managed to oversee a wide range of both simple and arduous plumbing issues, making sure we take a customer-centric approach with everyone we serve. 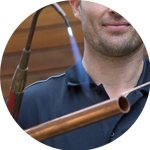 Our expert team of Plumbers in Lewisham have managed to fine-tune their knowledge to such a level, that any plumbing task can be handled both quickly and effectively. 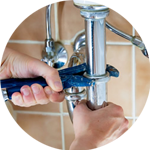 Your Plumber in Lewisham will be able to provide a wide range of specialised services which includes: fixing taps, installing kitchen sink plumbing and anything related to white goods in London. We can also install a waste disposer unit or baths & showers in both domestic and commercial buildings. Lewisham is an area located within the southern region of London. 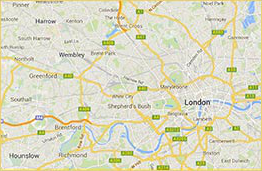 The area is identified as one of 35 major centres in Greater London. 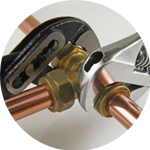 There is much more available at the Handy Squad other than plumbing services. Many people need a multi-skilled tradesmen to take care of generalised DIY and maintenance around the home or workplace. We have a Handyman in Lewisham who will be able to take care of these tasks with ease. They can provide help with things like flat pack furniture assembly and house tiling. We also offer specialised tradesmen in the form of Carpenters, Locksmiths, Decorators and Electricians in Lewisham. They will be able to draw on their years of outstanding service to ensure any task is completed with optimum precision and care.